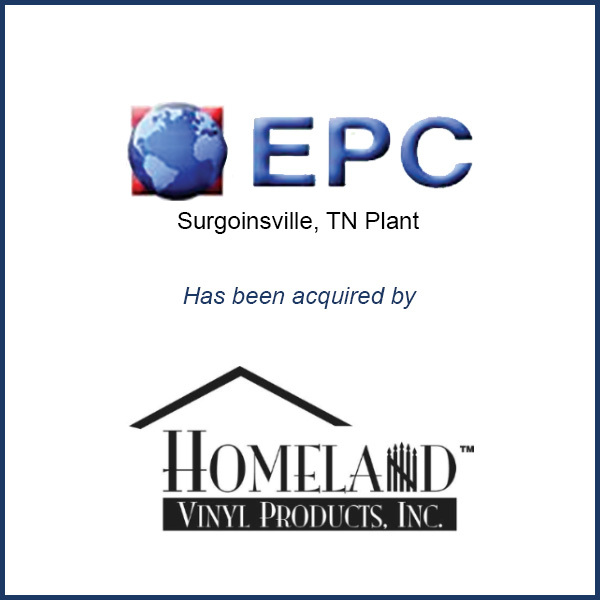 Surgoinsville, TN – May 2015 – Homeland Vinyl Products of Birmingham, AL has acquired a new manufacturing plant in Surgoinsville, TN. Over the last four years, the site has been owned and operated by custom injection molder Engineered Plastic Components Inc. (EPC). Prior to the acquisition by EPC, the Surgoinsville factory operated as housewares molder Alladin Plastics. Homeland Vinyl plans to move equipment from its Colorado facility to the 220,000-square-foot site as soon as it can and begin operations, which will include new product lines. Homeland Vinyl Products says it is one of the largest vinyl deck, fence and rail manufacturers in the United States. The company has 40 years of experience and serves residential and commercial customers with vinyl products in a white, tan, beige and gray, according to its website. The products are made from a custom blended PVC and come with a lifetime warranty. Molding Business Services advised EPC on this transaction. The above excerpts were taken from a May 8th article in Plastics News. Click here to view the full article.